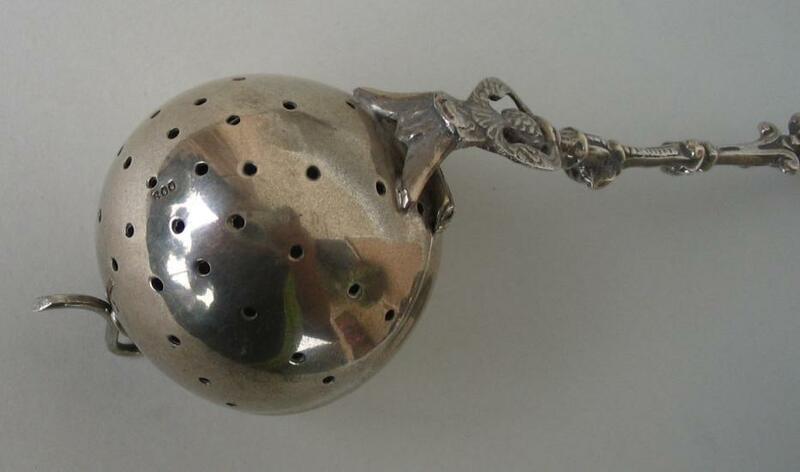 this is a silver tea strainer of unusual shape made in Italy at the end of 19th /beginning 20th century. 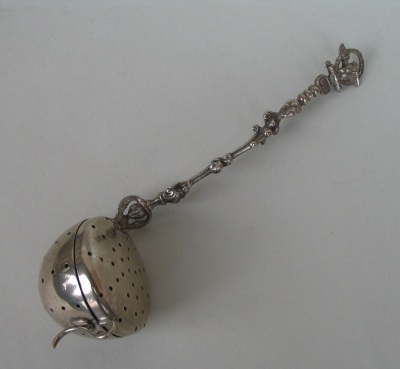 It is a typical 'Grand Tour' souvenir object with the handle decorated with mythological figures, floral motifs and Ancient Rome symbols (Imperial Rome eagle, axe with rod's bundle, 'SPQR' inscription). 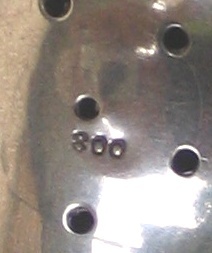 The bowl is marked '800' (800/1000 Italian silver purity degree). 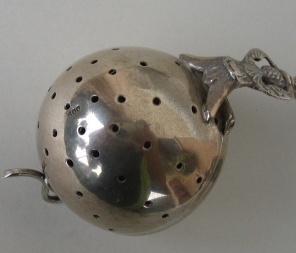 The tea strainer is 6 in. long (cm. 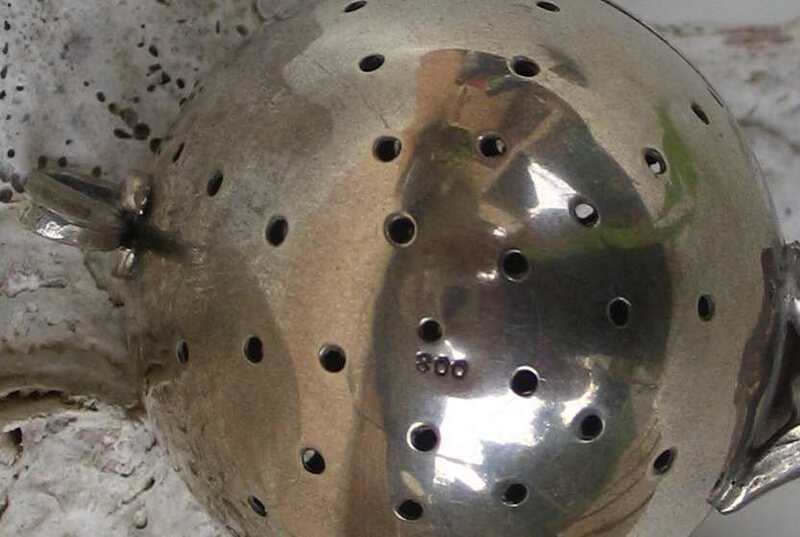 15) and was bought from an Italian dealer in an Antique market.